The Hostel City Center located in the heart of the downtown Prague just 4min on foot from Wencelas Square. Cheap, clean, no curfew. Small, friendly hostel in the historic centre of Olomouc. Spacious 6-bed dorms, sunny well-equipped kitchen and cozy common room. 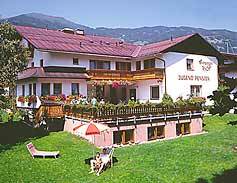 Youth hostel near Innsbruck in Tirol, Zillertal, Austria. spanish school, spanish language school Learn Spanish at ECELA Our goal is to provide you with a learning experience of a life time. Our Spanish Program, accommodations, activities, excursions and ongoing support are always taken care of by the dedicated and friendly staff at ECELA. There are hundreds of Spanish language schools around the globe...... So why are so many people of all ages and from all corners of the world choosing and recommending to learn Spanish at ECELA to their friends?